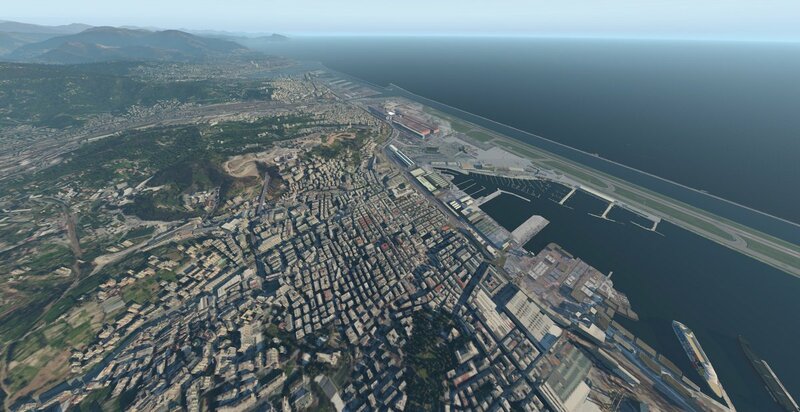 This scenery is made of the city of Genova (Northern Italy) and her city airport LIMJ Cristoforo Colombo – Genova Sestri. Genova is a city of 600.000 inhabitants with a metropolitan area of 1.500.000 inhabitants. The scenery cover an area of 120 squares kilometers with the airport, the Harbour, the ancient port and industrial areas with hundreds and hundreds of buildings and architectural complexes, and several thousands objects like ships, cranes, containers, trucks, parked cars, parked trains and so on. Further, there are the residential areas. The scenery features both city areas and forests (default) on the slopes of the mountains (200 squares kilometers in total 30 KM x 7 km). 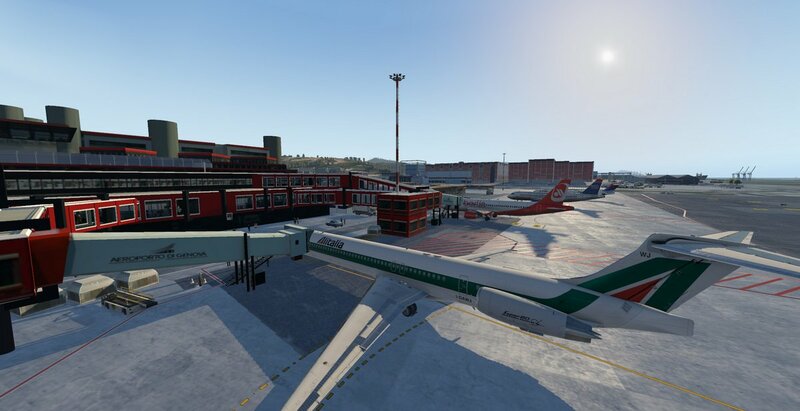 - LIMJ International airport and the city of Genova complete with all very high detailed buildings and architectural complexes and 3D modeled residential areas (15.000 buildings). I want to thanks with the heart Marcogrifo for his lighthouse, the breakwater and cranes models (very high detailed and complicated models). - Several thousands of objects like parked cars, trucks, parked trains, ships, boats, container, cranes and so on. - Advanced modeling and texturing techniques, most models are prerendered day and night. - Photorealistic 30-60 cm/pixel ground textures for all the area of the city and surroundings mountains. The most important areas has a resolution of 30 cm/pixels. - Photographic night environment (ground textures and buildings textures) and night lighting effects (for example the "Lanterna" lighthouse). - High detailed APRON in the airport area. - Changing parked aircraft in the airport. - Moving ground services in the airport. - In the airport, the various buildings and the Terminal has the "interiors" (cinematographic set style): the windows are transparent. - In the airport there are two (of five) animated jetways (Autogate plugin by Marginal required). - 3D volumetric grass and 3D volumetric trees in airport area ("2D" trees for the city and forests). - Extensive use of PBR materials for both the ground textures (except the residential areas and mountains) and building textures. - Static people in the airport area (especially in and out of the terminal). 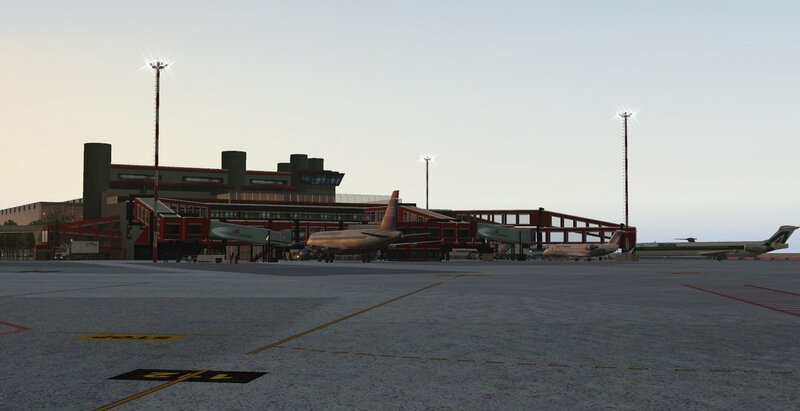 - The airport is been tested with World Traffic 3.0 and ortho4xp. They functions correctly. 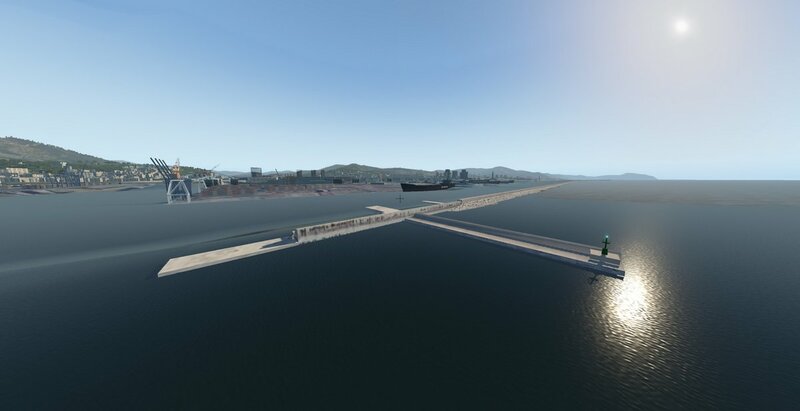 - 3D modeled motorway junctions (day and night textures) in all the city. - Two good detailed railway stations. - Realistic and accurate ILS offset of 2 degrees. - LIMJ documentation by ENAV included plus a map of the parking at the airport. 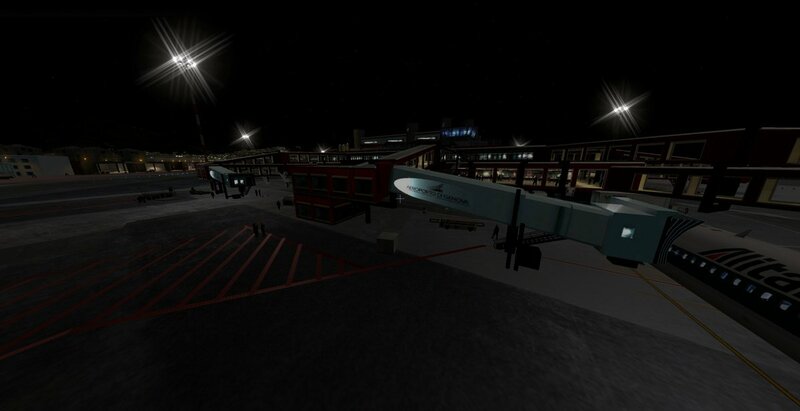 In 3.0 release, I and Marcogrifo have redone many airport and city architectural complexes, that now are ultra high detailed (included night lighting effects for some models): for example there are the new terminal (with transparent windows) and other ultra high detailed buildings in the airport, the new "Lanterna" lighthouse, the breakwater, new Polcevere river landmarks, Ilva sheds near the airport. Further I've added hundreds of new realistic buildings in airport and city. 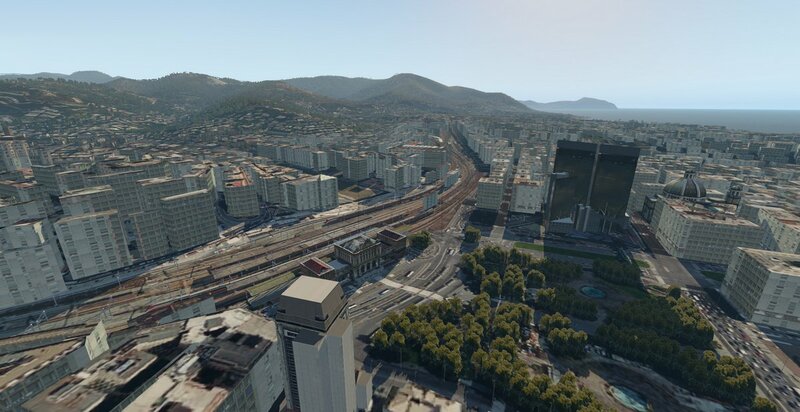 Now are present in the scenery also the residential areas (absent in 2.0 and 2.1 release). They include 15.000 buildings with generic facades and real roofs. For all the scenery is present 30-60 cm ground texture: 200 square kilometers (day and night). In the terminal now there are two animated jetways (of five elements) that require Autogate plugin by Marginal. Some buildings in the airport has transparent windows and you can see the interiors. In the airport area there are people (static). 3D volumetric grass and trees in airport area. - Fixed the errors present in 2.0 release about the "number of objects" settings. Now the scenery run correctly using each level of details. With this fixing there are no more "flying caravans" at the airport area. More the city looks "full" of objects with each settings. - Added LOD command to each model in the scenery. In this way all the small objects disappear in distance. This give greatest FPS to the scenery. lighthouse), the "Bigo" and the "Biosphere". More I've done the 3D surroundings of these monuments. - Now the tourist marina in the airport area is a 3D model. Yacht model redone. - No more 3D grass in the airport area. - Now both the ground textures of the airport and the city, and all the building in the scenery use PBR material so that the scenery looks very realistic and the FPS are very high. - The runway and the large square in the airport now have 4K textures. 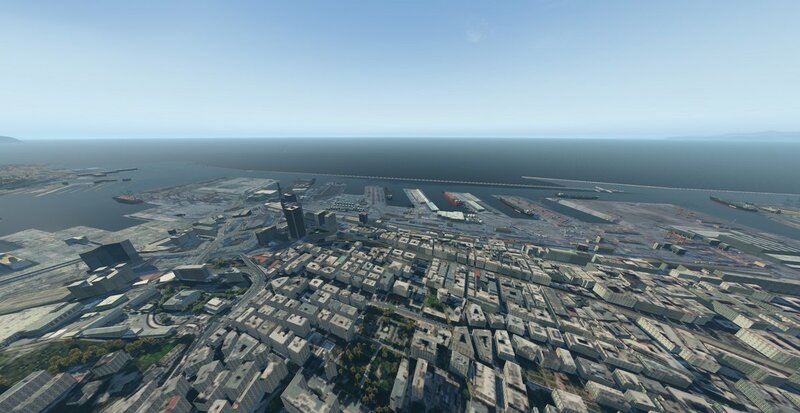 - Added 3D highways and roads near the airport and in all the city. - Redone the cranes night textures. (c) Copyright store-x-plane-org | All Rights Reserved.